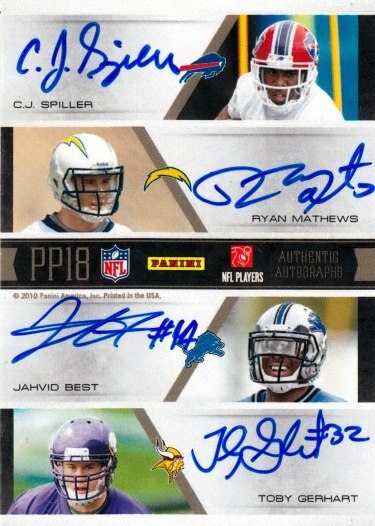 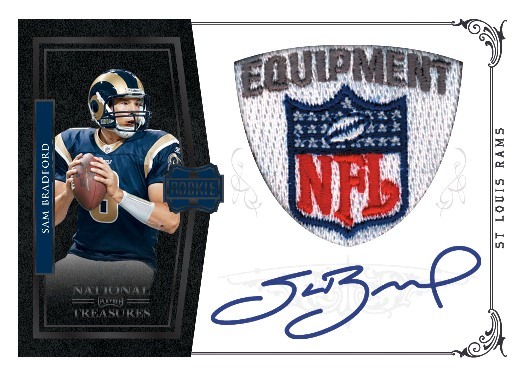 The heir apparent to the NFL high-end patch rookie auto! 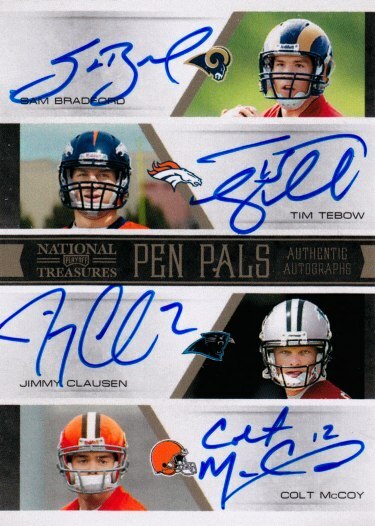 Pen Pals multi-auto cards including 5 different Octographs (8 autographs on 1 card)! 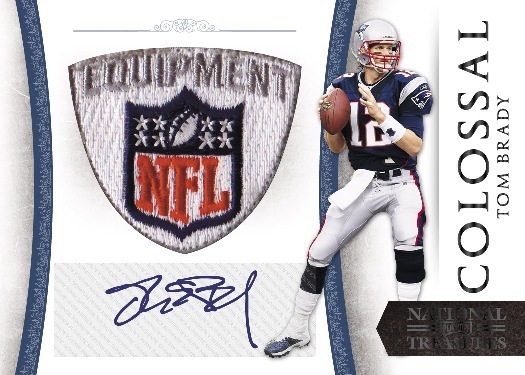 Game-worn NFL Shield and NFL Brand Logo patch cards! 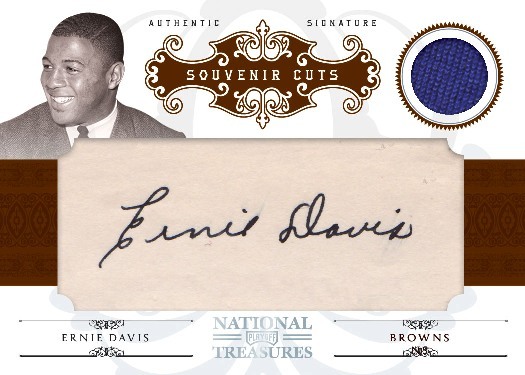 Souvenir Cuts memorabilia cards honoring heroes of the gridiron that are no longer with us such as Ernie Davis, Walter Payton, Jim Thorpe and Doak Walker! 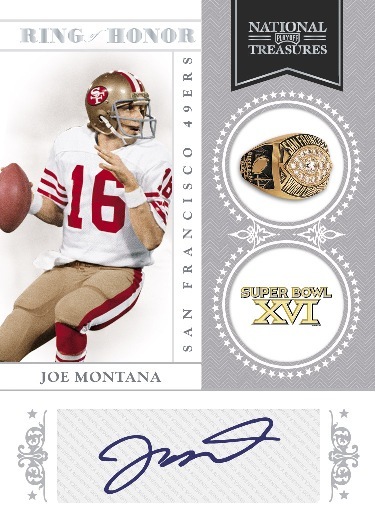 Ring of Honor Signatures featuring autographs from all 44 Super Bowls! 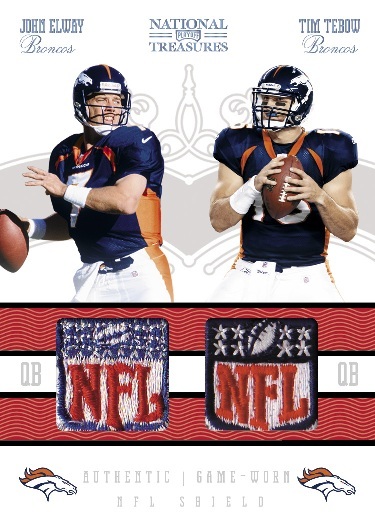 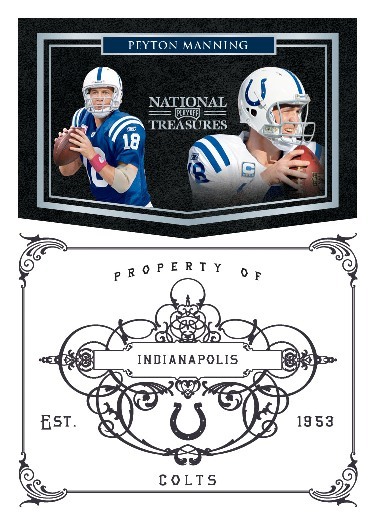 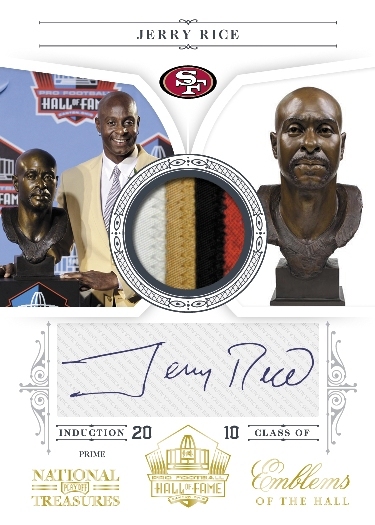 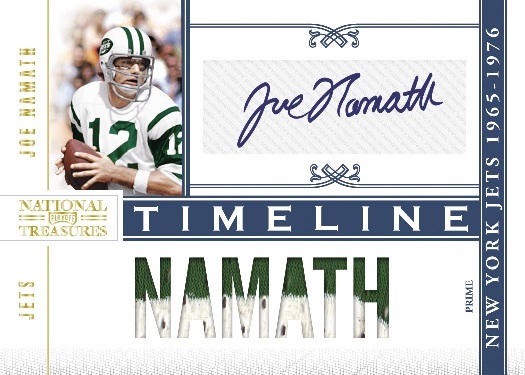 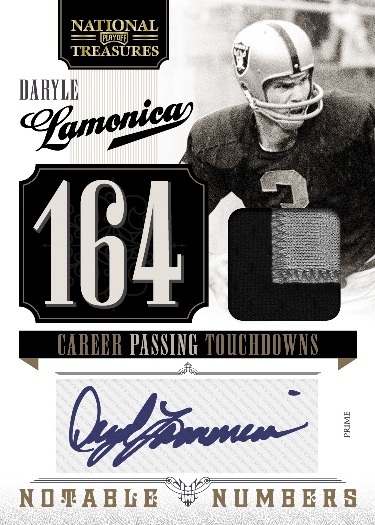 Panini's National Treasures will look to establish itself as football's premier high-end rookie patch auto this March. 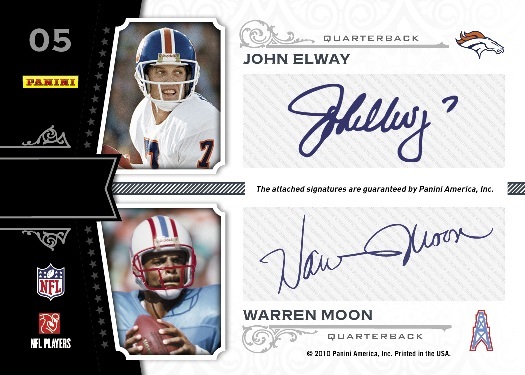 The $400 per box football card offering delivers six hits per single pack box and the possibility of pulling big name rookies, hearty patches and legendary signatures.